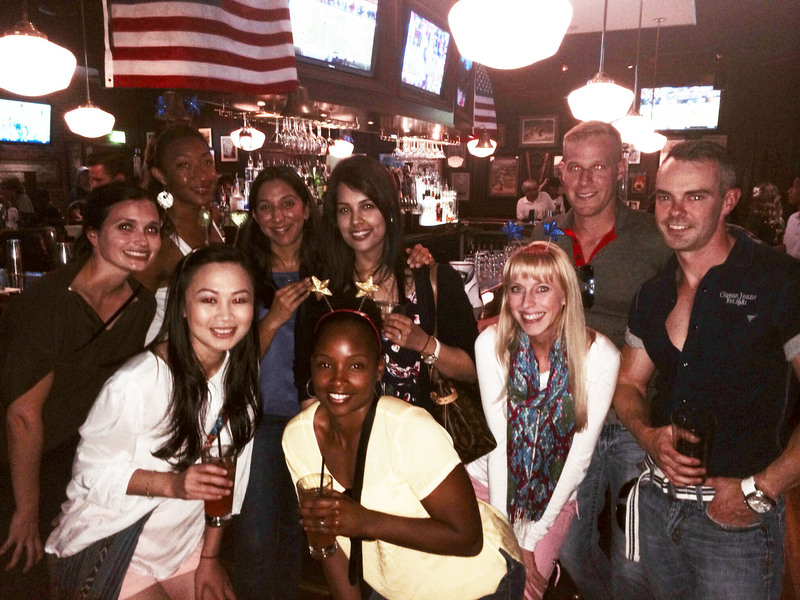 A fun new twist on the idea of a bar crawl is now on the move in Houston. 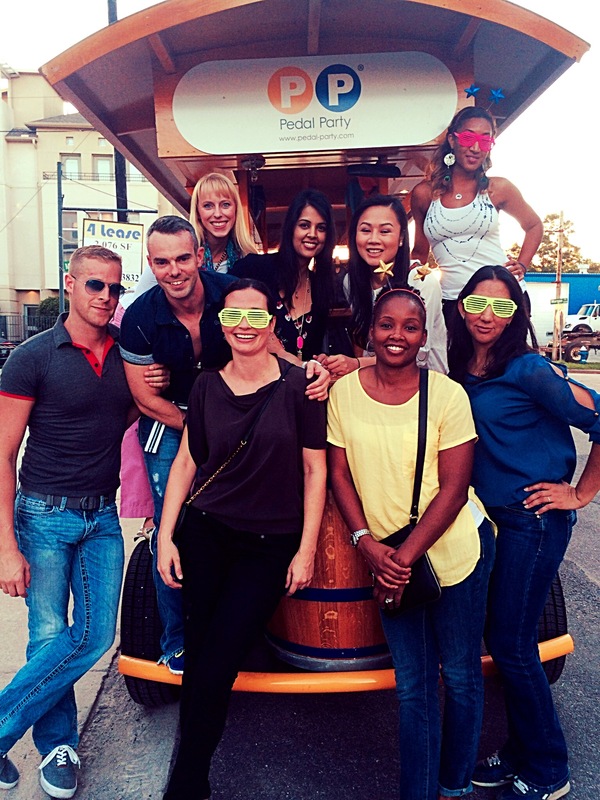 Pedal Party’s offer all of the fun that comes from the quick changes of scenery and libations that comes with a bar crawl united with an innovative way to transport a group from one place to another. The star of what makes the pedal party so innovative is the Party Bikes that motors the fun. 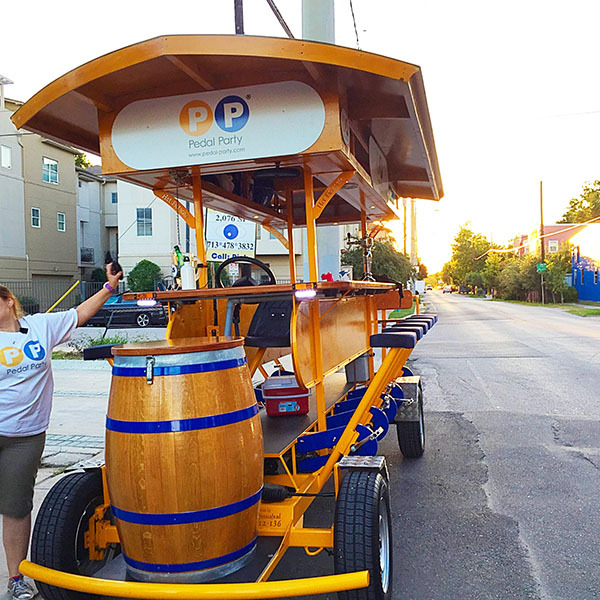 Instead of walking or biking or hoping in cars the Party Bike holds up to 16 partygoers and moves them along the bar crawl route. The pedals attached to the seats as the engine puts the power in the party goers hands to keep the party going. 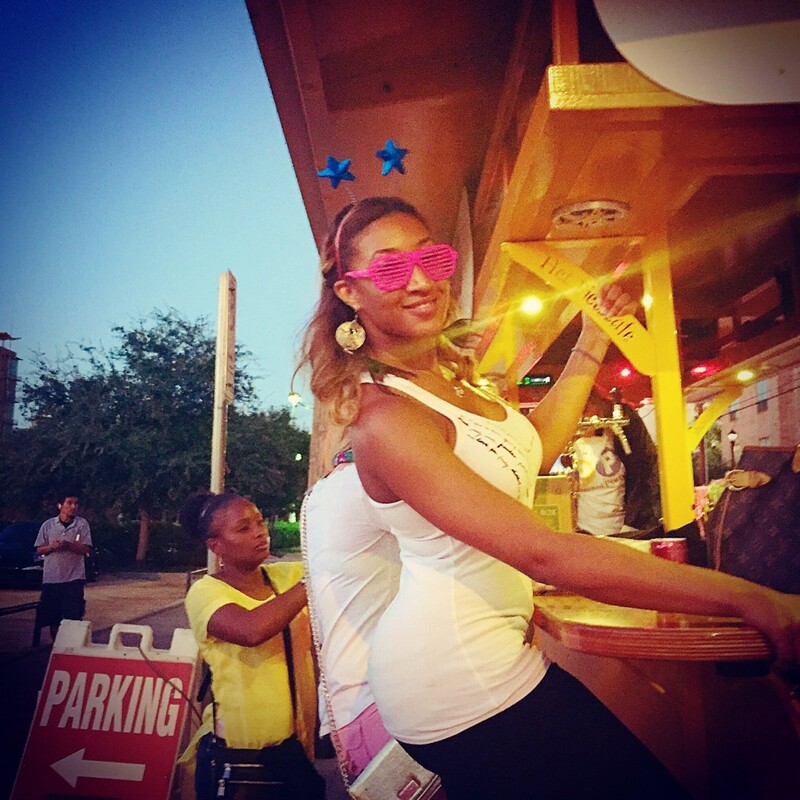 In exchange for all of the hard work put in by partygoers as they pedal up and down midtown or Washington Ave., the middle area of the Party Bike houses the appointed bartender to keep the libations going and energy up. You have a chance to bring your favorite beer, wine or drinks aboard and give everyone time to have fun with just the party goers as well as mix and mingle with others throughout the bar crawl. In celebrating a dear friends birthday one of the clear advantages of the Pedal Party is the chance for all the party goers, whether friends or strangers at the start, a chance to meet and greet and get to know one another. With the music blasting from the bus, you find that as the pedals start moving and the drinks start flowing some of the introduction period moves quickly to conversations and. 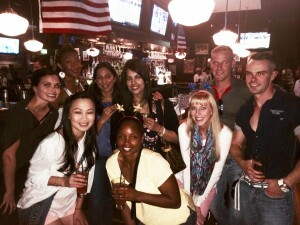 In a normal bar crawl you have a tendency just to stick with who you know or came with or even branch out to others at the bar, but with the time on the Party Bike you can all bond in the new experience. 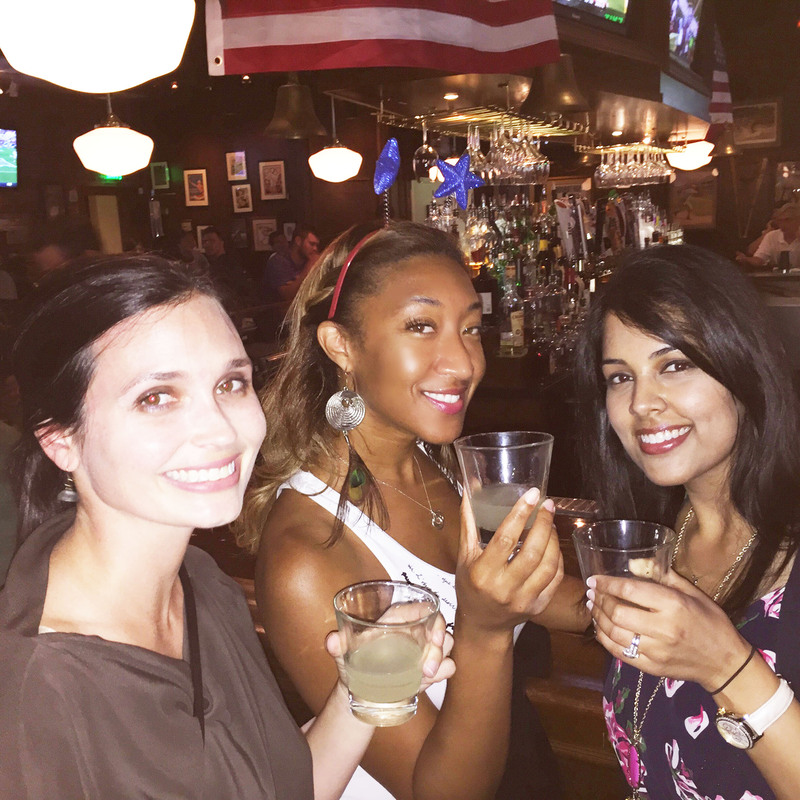 The experience is only enhanced by the fact that within your window for renting the party bus you get to work with your driver to determine the bars and areas that will be the most fun for you and your guest. Our route went to Black Finn, Boheme and the Third Floor but you can choose to turn up or turn down or get a great mix of both depending on exactly what you like to do, drink and see. Because the Party Bike provides an easy mode of transportation to get everyone from A to Z you don’t have to be so confined with bars and spaces that are very close to one another. Instead have some fun by picking and choosing your favorites and have a great time enjoying the ride along the way. By adding private and open components you get some of the best of parts of both having an intimate party as well as getting to feed off the fun and energy you can find in a bar. Omgsh how fun!! I definitely want to look into this!